Dashcams are an incredible investment, especially for people who are on the road a lot. However, not everyone has $200 to put into a camera used only for their cars. You’ll still want high-quality resolution and convenient features but at an affordable cost. We’ve found three of the best cheap dashcam for drivers who are shopping on a budget. 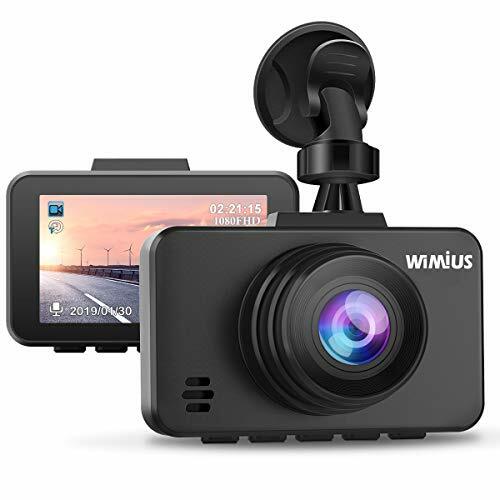 The WiMiUS Dash Cam is quite impressive. It has most of the features that you’d find in high-end cameras, but at a fraction of the cost. No matter if you need a camera for a pickup or a small sedan, this device handles all types of recordings. 1080p full HD: With 1080p recordings, you’ll have access to full HD data. The recording lens captures up to 30 frames per second. This also makes the camera useful for capturing photos with immense detail. Built-in G-sensor: Some of the most expensive dashcams might not have a g-sensor. This is one of the best features of the WiMiUS Dash Cam. In the event of an accident, the g-sensor will trigger the camera to lock the recorded data. It will prevent the footage from being overwritten. Wide-angle lens: The camera is equipped with a 170-degree lens, so you’ll be able to capture activities across the sides and front of your car. Night vision: If you’re driving in poor lighting conditions, be sure to use the night vision. This will give you optimal viewing, even in the middle of the night. Parking monitoring: When your vehicle is parked, the WiMiUS Dash Cam will offer protection with the help of the g-sensor. If there is movement around your vehicle, the camera will automatically start recording. Temperature resistance: You won’t have to worry about keeping the camera in a cold or warm car. All of the mechanical components are built to withstand up to 167°F and as low as -22°F. As an even more affordable option, the eBoTrade Dash Cam has a lot to offer. It features an easy-to-use mount and plenty of recording features. However, it doesn’t have the best recording quality at night, which may be a concern. Stealthy design: Compared to most other dash cams, the eBoTrade Dash Cam is very stealthy. This is what makes it ideal for people who don’t want others to know they have a camera. You can easily install it behind your rearview mirror. 270-degree field of view: If you’re looking for the widest angle possible, this is the camera for you. It offers a 270-degree field of recording to cover all areas of your vehicle. Super night vision technology: The night vision is built to have a superior resolution in low light. However, the camera finds it difficult to illuminate activity near your vehicle in poor light. Easy installation: You don’t have to hardwire this dashcam into your vehicle. Instead, it plugs into your car charger. Additionally, you affix it to your windshield with the provided suction cup mount. Automatic on and off: When your vehicle is turned on or off, the camera will automatically power up or down as well. Temperature resistance: Temperature resistance is important to protect your camera. You won’t have to remove the camera after every trip. It withstands temperatures as cold as 19°F and as high as 149°F. 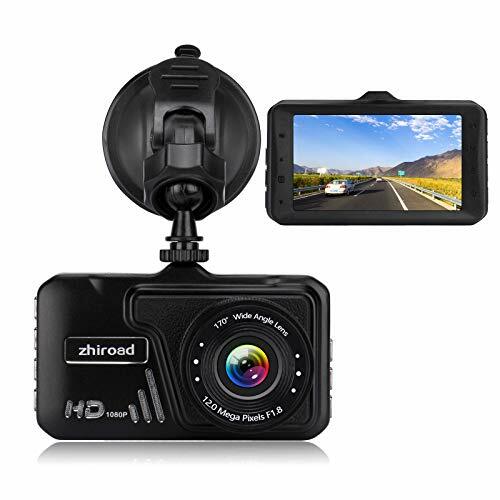 The Zhiroad Dash Cam is one of the best cheap dashcams for drivers because of versatility. If you’re looking for a budget dashcam that is easy to use, this is the best model for you. It has similar features to high-end models and performs quite well for its price. HD recording: This camera is built to offer 1920x1080p full HD recordings. This helps to make it easier to capture important events for legal and insurance evidence. Built-in G-sensor: The built-in g-sensor is important for accidents. It not only locks the recording so it isn’t overwritten, but it also saves the video under a special menu. Integrated loop recording: You will essentially have unlimited storage on your dashcam. If you don’t clear the card, old files will automatically be overwritten. This helps to make sure you are covered in the event of an accident, even with a full SD card. Parking mode: When your vehicle is parked, you will have access to the parking mode. This captures any activity surrounding your vehicle while you’re away. Wide-angle lens: Like most other dashcams, the Zhiroad Dash Cam has a wide-angle lens. It will record up to 170 degrees around your vehicle. Useful LCD screen: The LCD screen is three inches, which is more than enough for in-vehicle use. It also won’t impede your field of view while driving. The included cable is quite long. The built-in battery doesn’t fully charge. 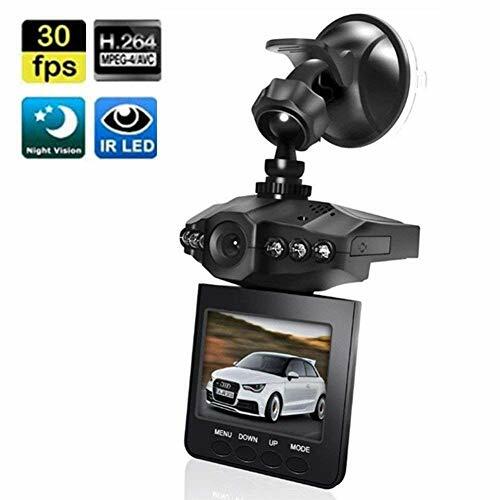 There are several things to consider when looking for the best cheap dashcam for drivers. You’re going to need a device that is easy to use and install. You’ll also want a camera that captures all events surrounding your vehicle. Not to mention it should also offer full HD recordings and high-quality images. You will need all of those features for an affordable price. Luckily, the Zhiroad Dash Cam has everything you need. It’s one of the best budget dashcams you’ll get your hands on. Its day time and night time recording is impressive, and it captures up to 170 degrees of activity. With the help of the g-sensor, important information is automatically locked. It also allows you to constantly loop record if you forget to empty the SD card. When you receive your order, you will have everything you need to plug it in and start using it. Also, the included connectivity cable is the perfect length for most vehicles. If you’re in the market for a versatile and ready-to-use dashcam, the Zhiroad Dash Cam is surely your best bet.